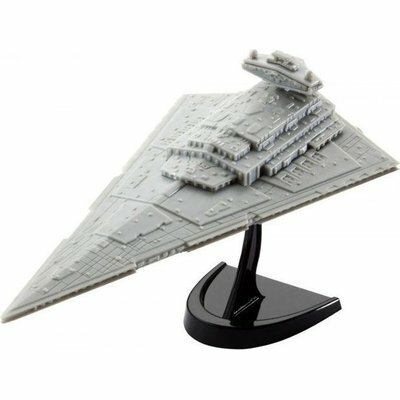 The Imperial, an arrow shaped star destroyer, is based on the concept of the major war ships that had already been successfully used in the Clone Wars. After Chancellor Palpatine seized power the Imperial star destroyer formed the backbone of the fleet and could therefore be found in almost any theatre of war. The 1,600 m long, Star Destroyer, 25,000 of which were made, was suitable for use in space wars, as large scale carrier, for planet defence and – conquest.